Everybody loves Lulu. 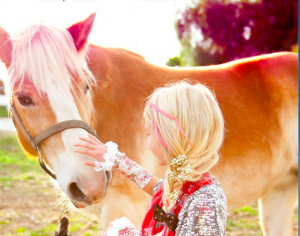 She is a Haflinger who is great with kids, can carry adults on trail rides and has a great sense of humor. Lulu plays a fun game of polo, and she really loves to jump. She has her own Lulu Fan Page on Facebook.